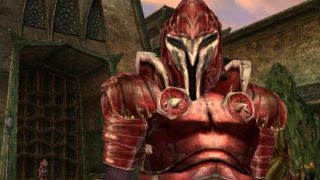 All that Elder Scrolls III: Morrowind goodness you love, but more. Hang on, that isn’t right. There’s no necromancer’s tower on the outskirts of Seyda Neen. Actually, I don’t recall there being this many shacks clustered on the coastline. And was that shady-looking tavern with the red lantern outside always there? What in Vivec’s name is going on? Such is the sensation of exploring Vvardenfell with the Morrowind Rebirth mod installed. This enormous mod remodels huge chunks of terrain, expanding towns and adding new dungeons and adventures alongside swathes of other content. It also achieves this with such a delicate hand that, if you haven’t played Morrowind for a while, you might struggle to identify where the old Morrowind ends and Rebirth begins. Morrowind Rebirth was first released in 2011, starting out as a collection of town-overhaul mods created by trancemaster_1988. Since then the mod has received 44 major updates that basically give the topography of the entire island a makeover, adding a truly staggering amount of new and modified places to explore. Unsurprisingly, a large amount of the mod’s focus is on expanding towns and settlements. Almost every scrap of civilisation has been altered in some way. Caldera, the Imperial mining town northeast of Balmora, has seen new buildings and shops introduced within its walls, while the perimeter has been remodelled to include farmsteads with working windmills. Meanwhile, the massive city of Vivec has seen its entrance area overhauled, with a range of shops, houses and warehouses added near the Silt Strider port. Even tiny villages, such as the northern outpost Dagon Fel, have been expanded. One of the towns that has received the most attention is Balmora. Rebirth’s interpretation has not one but two entirely overhauled districts – one near the town’s south gate and the other on its northern hillside. These include multiple new merchant vendors such as a Scroll specialist and a seller of magical clothes. Alongside trancemaster’s own work, Morrowind Rebirth incorporates third-party mods, such as Balmora Underworld, which adds a vast subterranean market. Beneath that lurks a labyrinthine Dwemer ruin for players to plunder. What’s particularly impressive about these additions is how seamlessly they fi t into Morrowind’s landscape. These new buildings aren’t simply plonked down wherever there’s space, trancemaster has painstakingly moulded the game’s terrain to accommodate for them. Beyond the game’s urban centres, trancemaster has added various new adventures and perils. These include bandit camps to raid, and multiple new dungeons, including a new Daedric realm to explore, and unique sights such as, err, mass graves. It’s worth noting that Morrowind Rebirth doesn’t add many quests. At least, not ones that will be recorded in your journal. Instead, Rebirth’s adventures are less offi cial, taking the form of notes pinned to walls that hint at the location of an item or a stash of gold, or bounty hunters that will track you down if the price for your head reaches a certain threshold. Rebirth also doesn’t make signifi cant changes to the game’s visual prowess, although it does make landscapes more varied, while adding visual variety to recurring NPCs like Imperial guards and skeletons. Alongside its many additions, Morrowind Rebirth also makes a massive number of balance changes. Hundreds of mechanical values have been tweaked, from the damage of different weapons to the weight of items and the price of travelling via Silt Strider. It’s impossible to go into these in any great detail, but the general effect makes levelling slightly slower and the diffi culty more challenging. Personally, I always felt Morrowind was slow and challenging enough, but this does spread your progress out more evenly across the mod’s increase in scope. Plus, if you get stuck, that’s what the diffi culty slider is there for. What I like most about Morrowind Rebirth is how natural all the additions appear. It makes Vvardenfell feel as if it has grown and evolved during your absence, like returning to your hometown after years away, only without the disappointment at discovering your favourite coffee shop has been replaced by yet another Starbucks. It doesn’t feel like the game has been modded. It’s more like time has simply moved on. If you want to know just how much has changed while playing, however, keep an eye out for hanging lanterns. These are trancemaster’s calling card, and you will be seeing them absolutely everywhere you go.